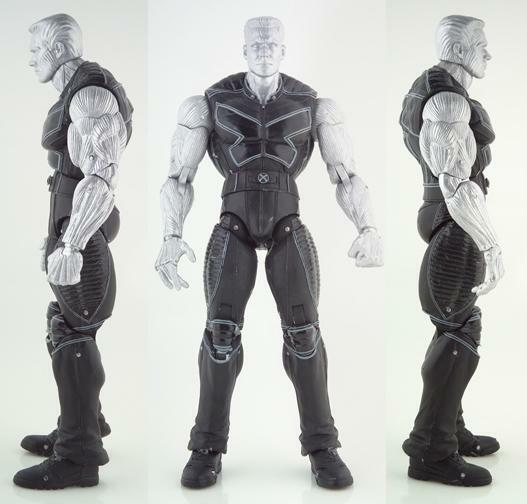 Daniel Cudmore, who played Colossus in both X2: X-Men United and X-Men: The Last Stand, has posted a picture of an ML-style X3 Colossus. Considering that Hasbro has been putting X3 figures in their early ML lines, this looks legit. Actually, putting the X3 figures in the regular ML line makes sense. The BAF parts and the novelty will carry the day. No more will we see a wave of figures solicited, only to never show up. No more Doombots. No more Cage Fighting Logans. Considering how long it's been since the movie came out, not doing a movie-specific line is pretty smart. It worked for Daredevil, after all. This entry was posted in Hasbro, Marvel and tagged Marvel Legends, X-Men. Bookmark the permalink.